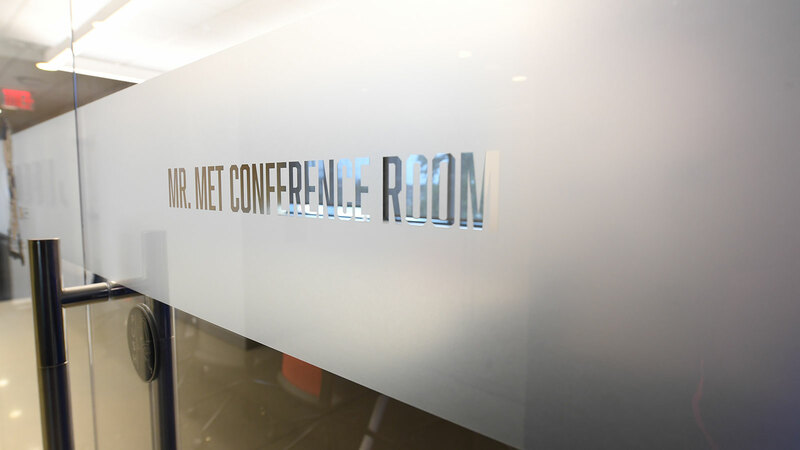 With a wide-variety of unique hospitality experiences, the Mets are excited to customize the perfect experience for your next event. Be on top of the action. 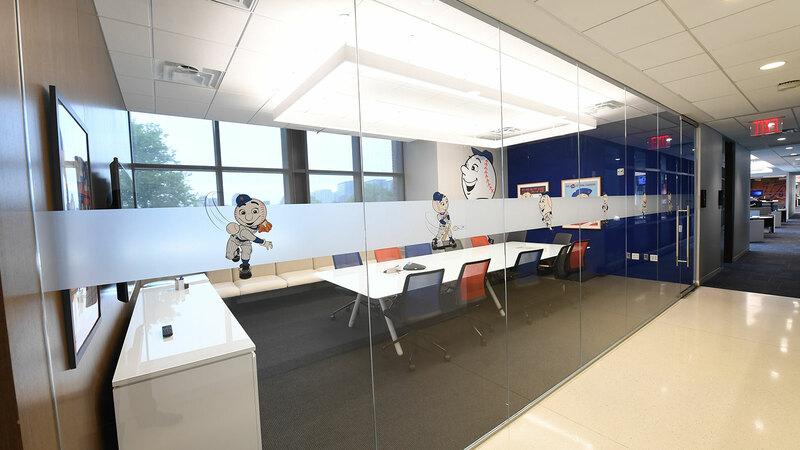 The M&M'S Sweet Seats are located just above the left field wall and accommodates 15 to 102 guests. Game seating consists of drink-rail style seating and is accessed via the Field Level concourse. Every ticket includes a food and beverage (including beer) package. 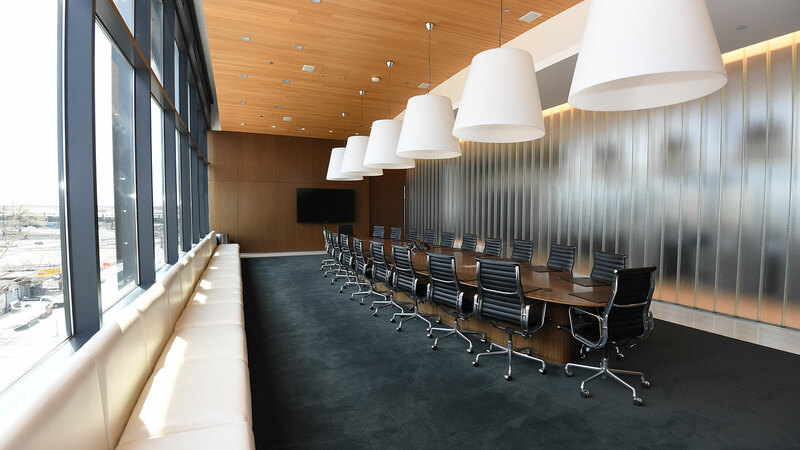 Ideal for client entertainment, corporate outings and special-occasion parties, these five adjoining suites may be used individually or combined for groups of 35 to 225. 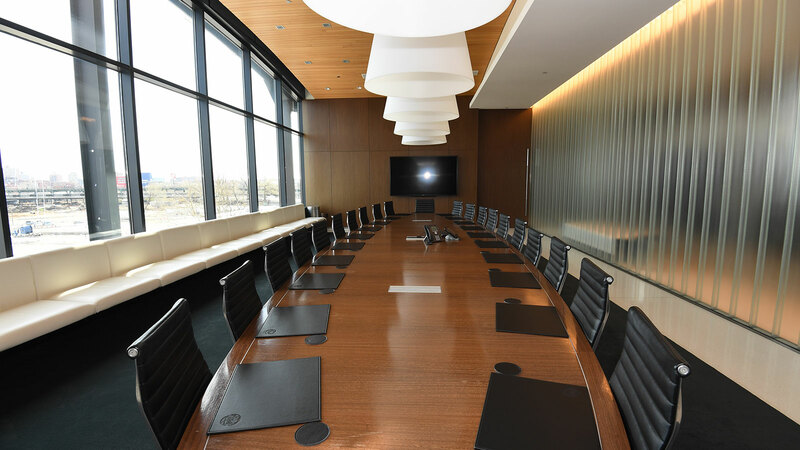 Each suite features flat screen televisions, modern furniture, and can easily be dressed up for a corporate meeting or festively decorated for your casual event. 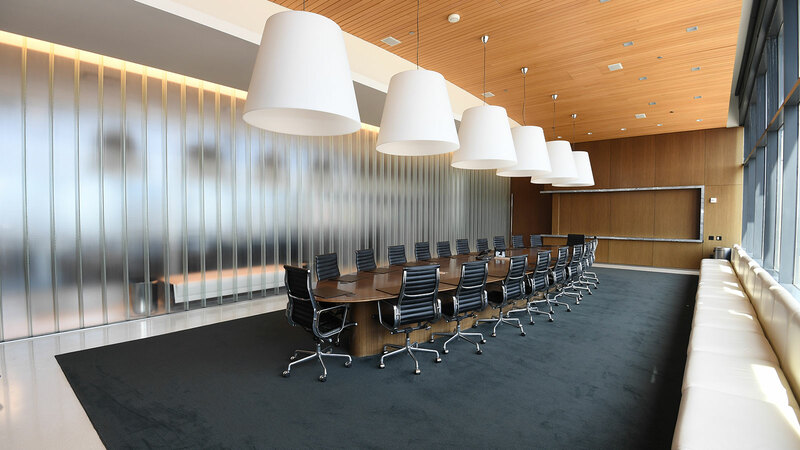 Retractable glass panels separate the exterior game seats from the suite area, allowing an open-air or climate-controlled party environment. Choose from a range of enticing menu options. Standing Room tickets must be purchased for all games classified as "A" or "B"
The Delta Sky Deck patio provides game seating for 24-30 people. 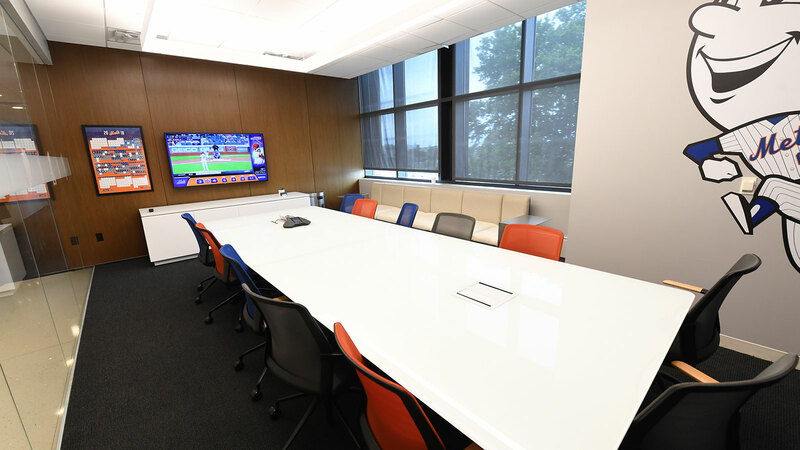 Your guests will enjoy a spectacular game view from behind home plate. This upscale area are packaged with Stored Value loaded onto the ticket, allowing your guests convenient use of our in-seat service from the exclusive Delta Club that features select specialty items. Group minimum of 24, maximum of 30 guests. 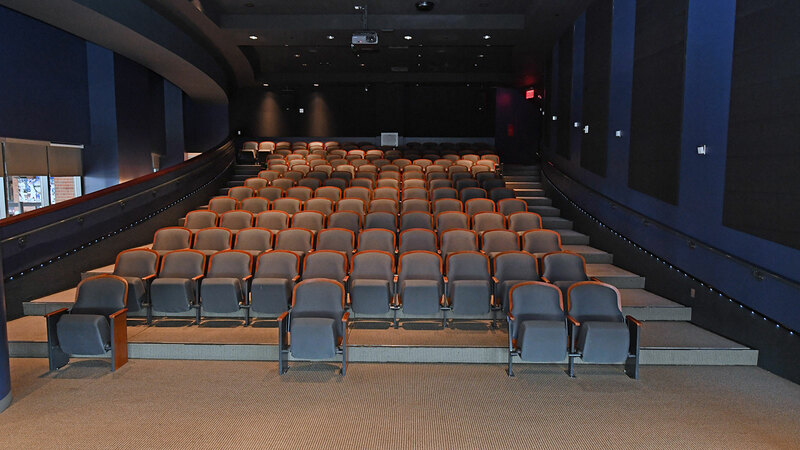 Enjoy a unique and spacious seating area for groups of 25-92 guests. Citi Pavilion features bar-rail seating as well as a private bar area for Citi Pavilion ticketed guests (serving draft beer, soda and water only). 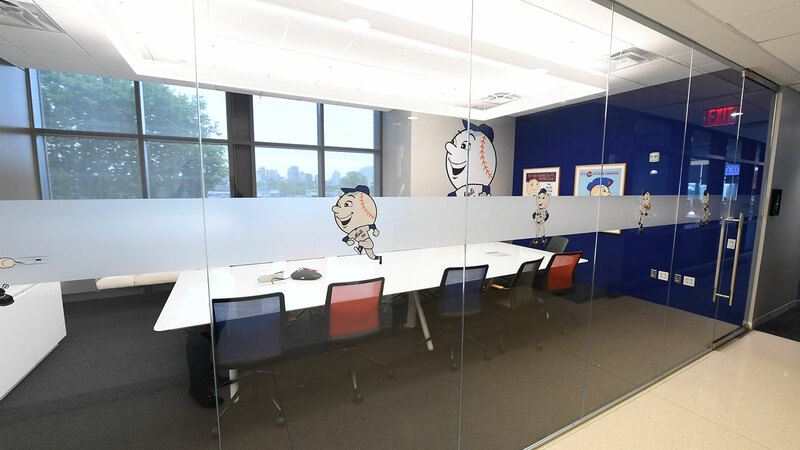 Located over the bullpens in right-center field, it provides close proximity to many attractions and activities, including specialty concessions, merchandise stands and the Mets FanFest area. 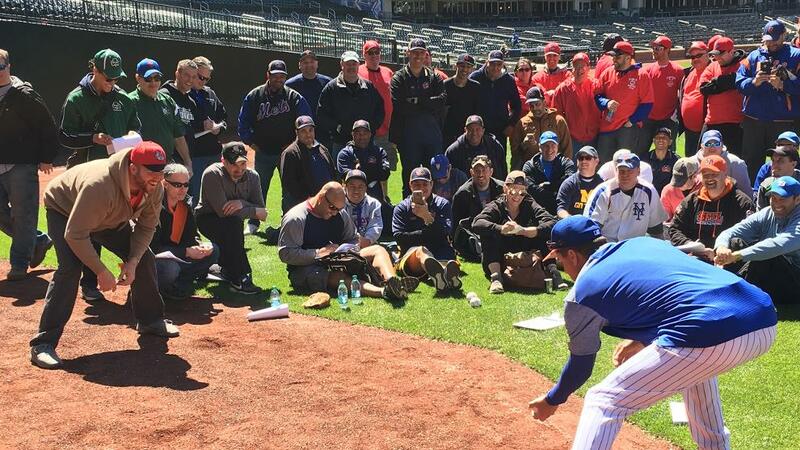 Put your group of 20 to 125 people just inches away from the playing field, positioned along the warning track in right field next to the bullpens. 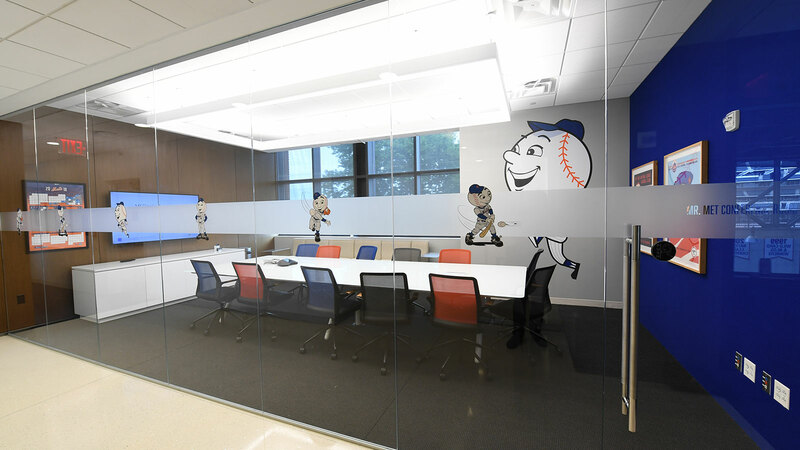 This hospitality space offers a ground level, player's perspective through the outfield fence, complimented by food and non-alcoholic beverage service, front row padded bleachers and "high-boy" table seating. 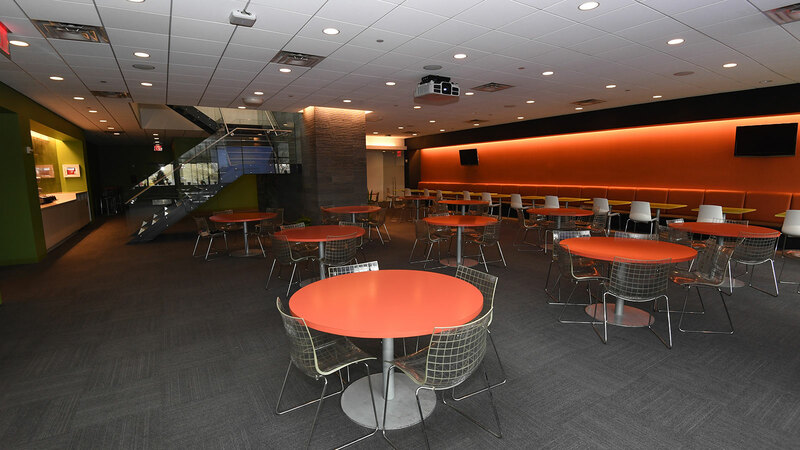 Honda Clubhouse also features retractable glass panels for open-air or a climate-controlled pre-game party space and flat screen televisions. Located outdoors on the Excelsior Level, the Blue Point Patio features a fine-dining and hospitality experience inspired by Drew Nieporent and his world-renowned Myriad Group of Tribeca Grill and Nobu Fame. Beer, wine and soft drink service is included in the ticket cost. 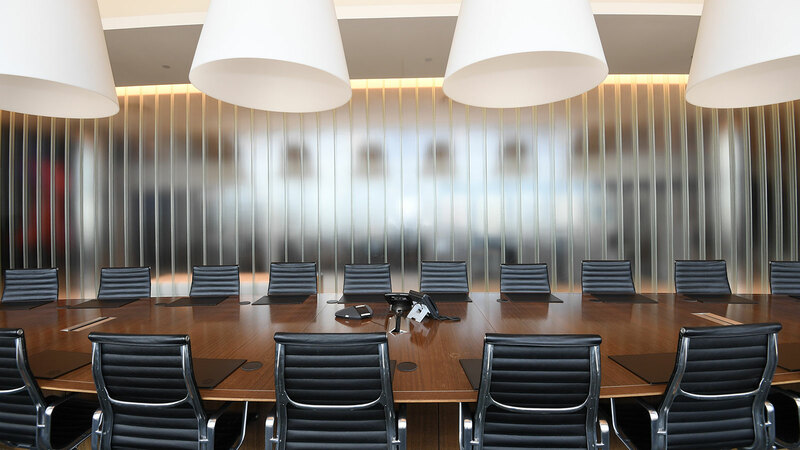 Enjoy a luxury hospitality space located in our exclusive Foxwoods Club. 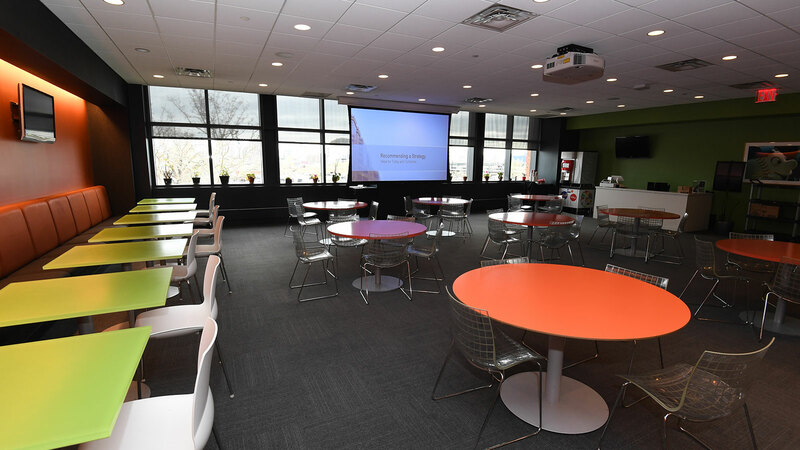 Our Foxwoods Premium Experience provides the perfect space to socialize with and host clients, employees or business colleagues in a semi-private area. All catering packages will continue into the game, so guests can step outside the club and enjoy the game. 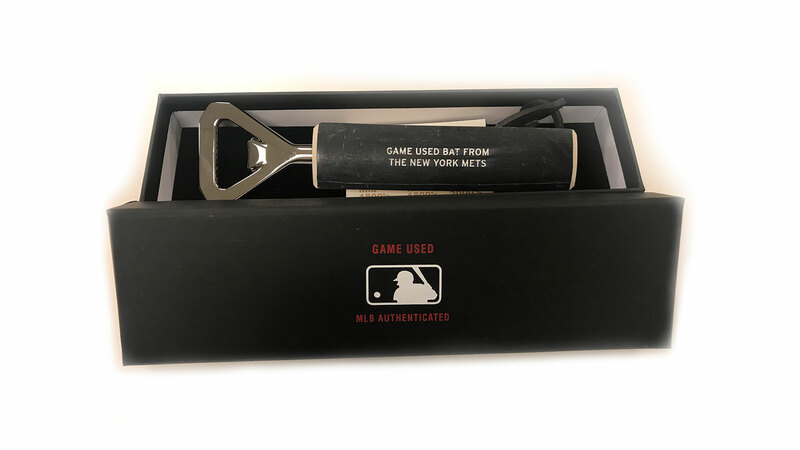 Beverage service beings one hour prior to regularly scheduled first pitch and continues through end of the 7th inning or two hours after regularly scheduled first pitch, whichever comes first. Food service continues through the 5th inning. In the case of inclement weather the group will be moved to designated areas inside the restaurant. Unique opportunities that few fans can say they experienced in their lifetime. 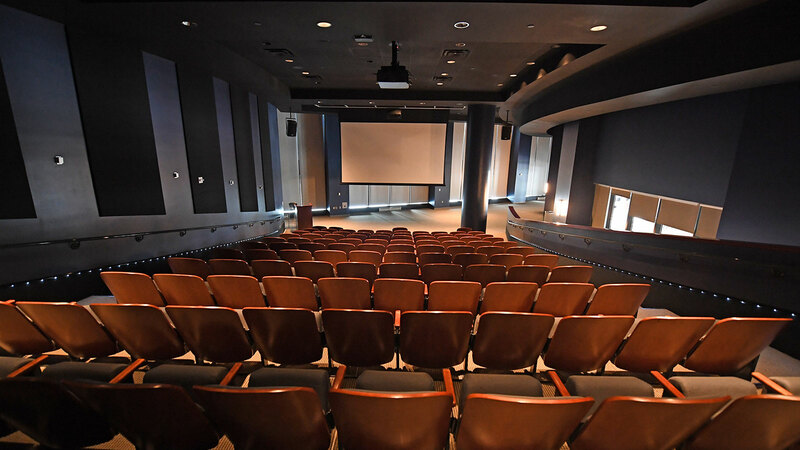 Located on the exclusive Porsche Suite Level, the Auditorium features comfortable theatre-style seating for up to 150 guests, large-screen projection and a surround-sound system providing professional level quality for any event. 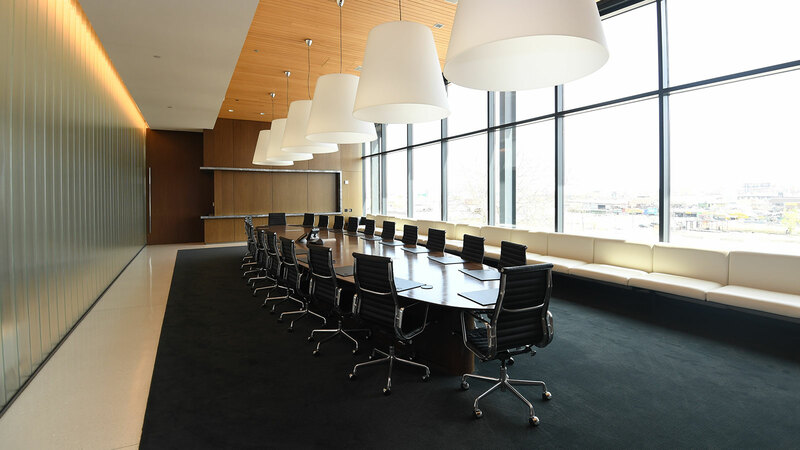 Our newest meeting space suitable for groups of 10 to 15 includes conference phone and A/V capabilities. 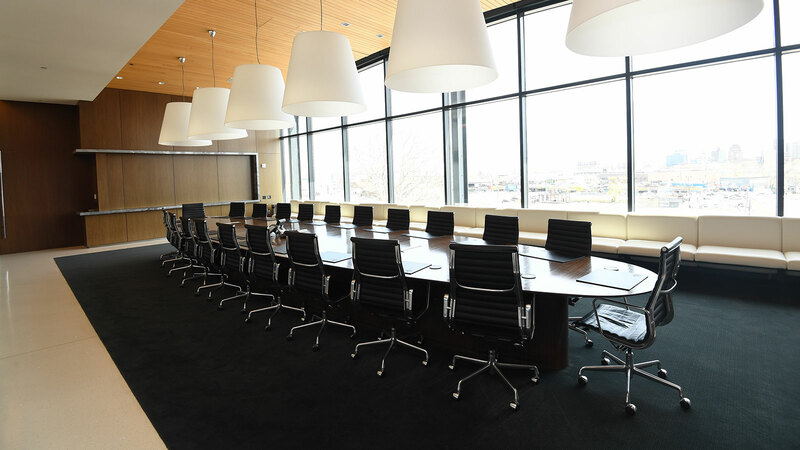 Our high-end meeting space* for groups of up to 50 guests with full A/V capabilities. Catering options available through Aramark. This open area includes table seating for up to 80 people. 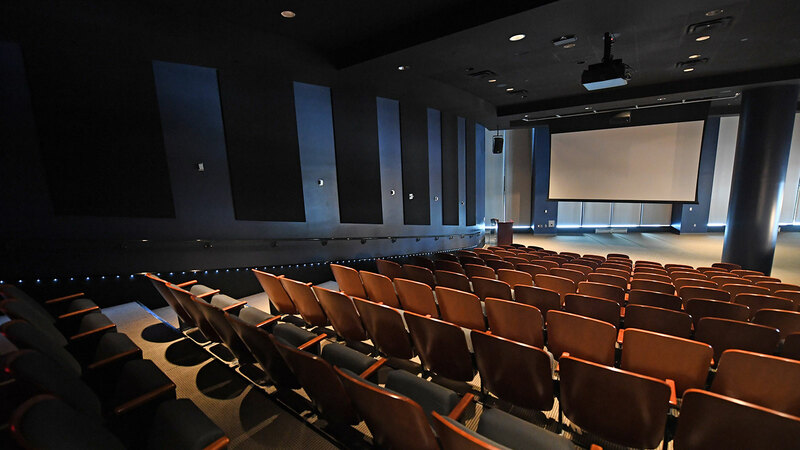 The space includes a projector, screen and wireless microphone. Catering options are available. 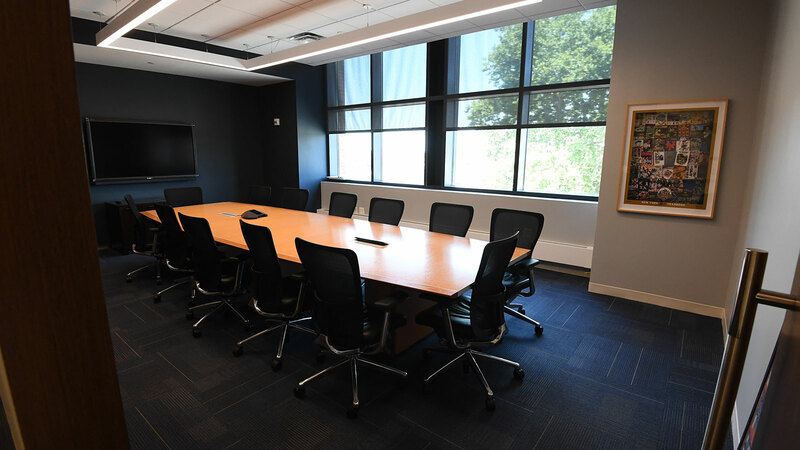 Intimate conference room for groups of 15 to 20, includes conference phone and A/V capabilities. 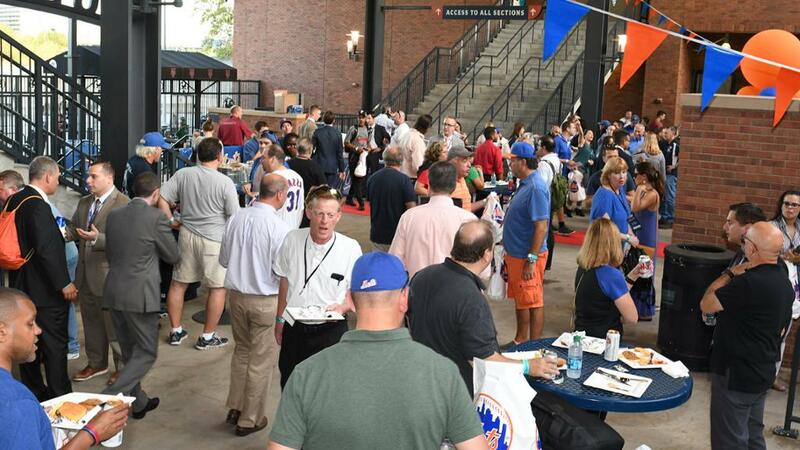 Food and beverage packages are included in our group menu to enhance your Citi Field experience. 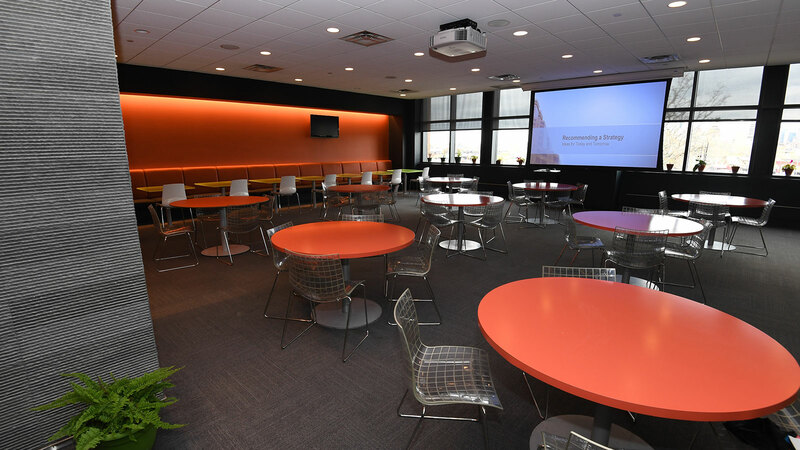 Check out these group options that include a variety of food and beverage combinations. 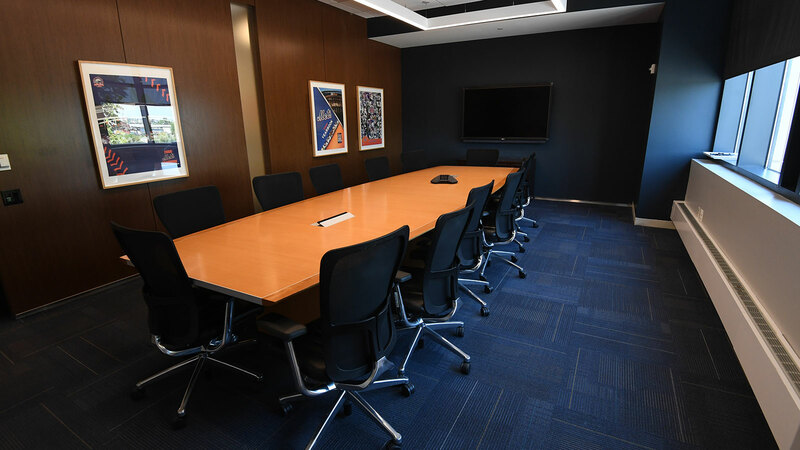 Ideal for client entertainment, corporate outings and special-occasion parties, these five adjoining suites may be used individually or combined for groups of 35 to 175. 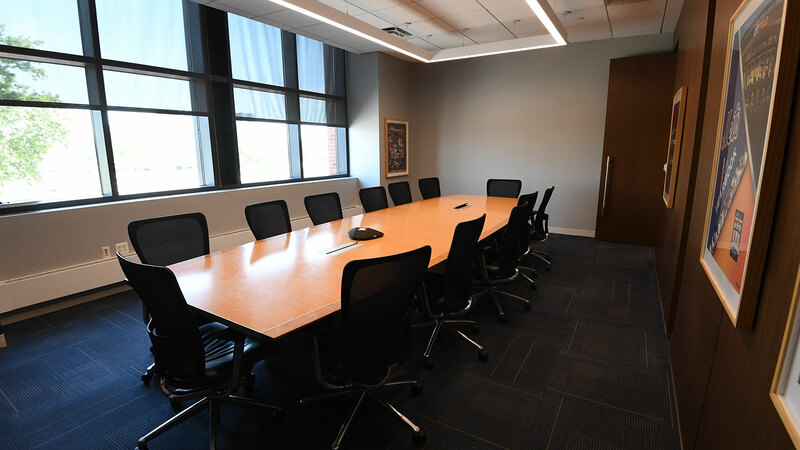 Each suite features flat screen televisions, modern furniture, and can easily be dressed up for a corporate meeting or festively decorated for your casual event. 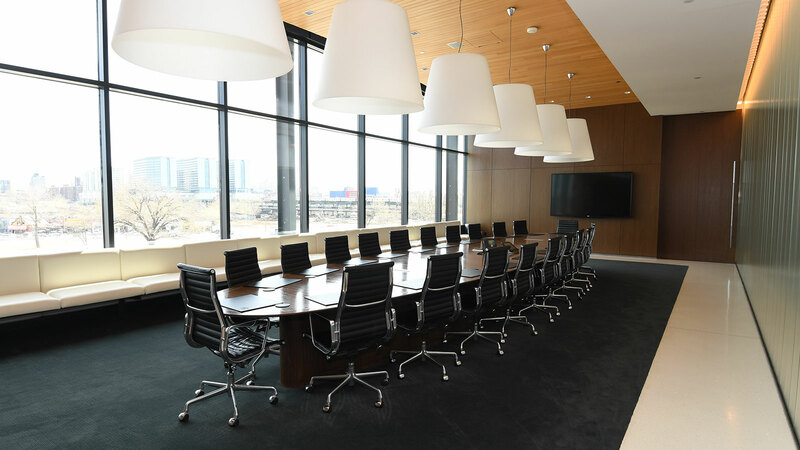 Retractable glass panels separate the exterior game seats from the suite area, allowing an open-air or climate-controlled party environment. Choose from a range of enticing menu options. Chicken Tenders and Fries Combo. The Mets are now offering access to areas of the Ballpark that have never been offered, both before and after the game! 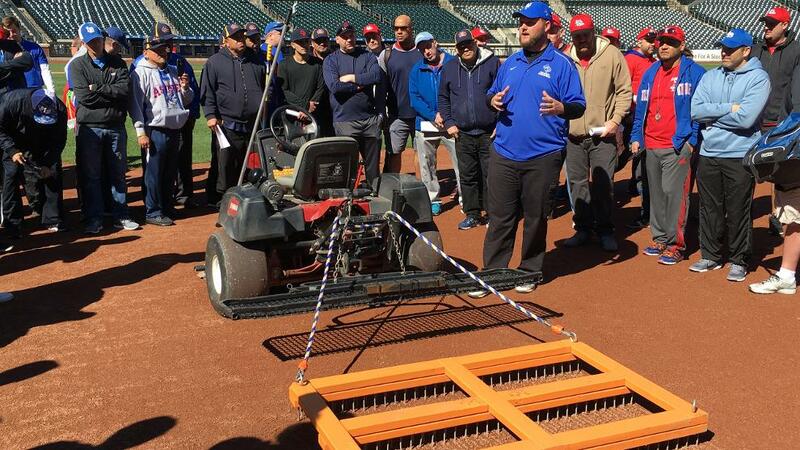 Immediately following a Mets game, up to 100 of your group members can step onto the Citi Field grass and play catch in the outfield for twenty minutes. Your group can stand in the spotlight in Center Field and honor our nation by presenting the United States Flag during the National Anthem. 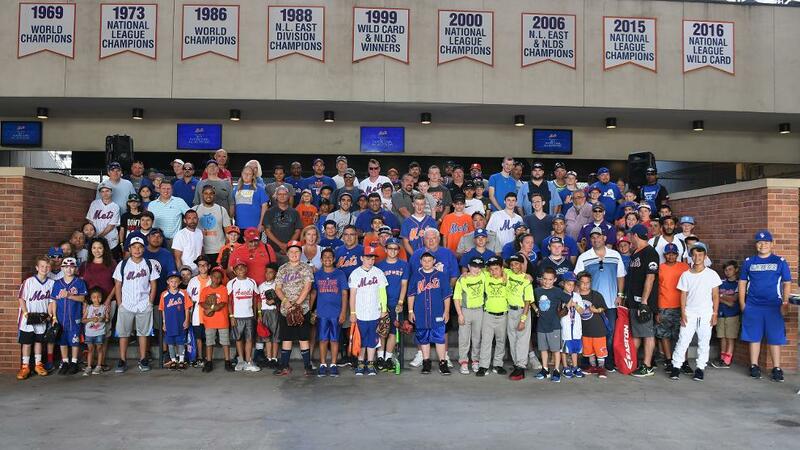 Have your group perform pre-game in our highly trafficked Mets Plaza. A portion of your performance will also be recorded and shown during our pregame programming. 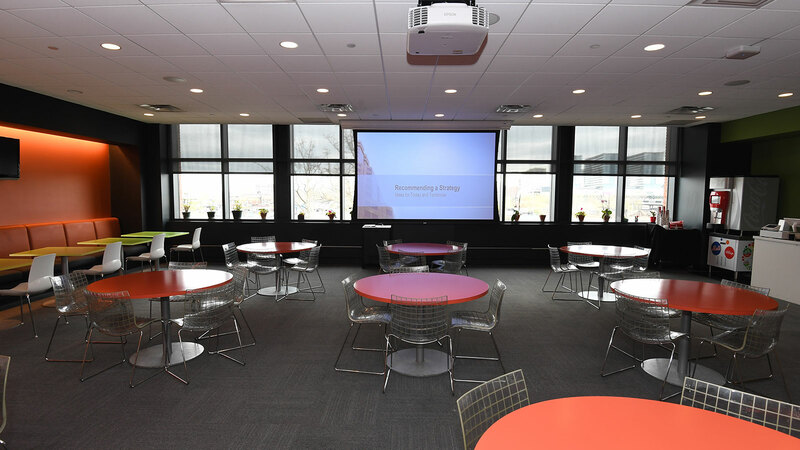 This is ideal for demonstrations or any other entertaining groups that want to showcase their talents at Citi Field! Get your group recognized! An individual from your group will be given the opportunity to participate in an in-game contest with a chance to win great prizes. Bring your group out on the field for a photo before the game. Have up to six members of your group down on the field for a special pre-game ceremony. These special group members will be recognized behind home plate by our PA announcer and will be shown on Citi Vision. Our Team Photographer will take an official photo to commemorate the experience. This is a great opportunity to honor those such as board members, large donors or outstanding employees! 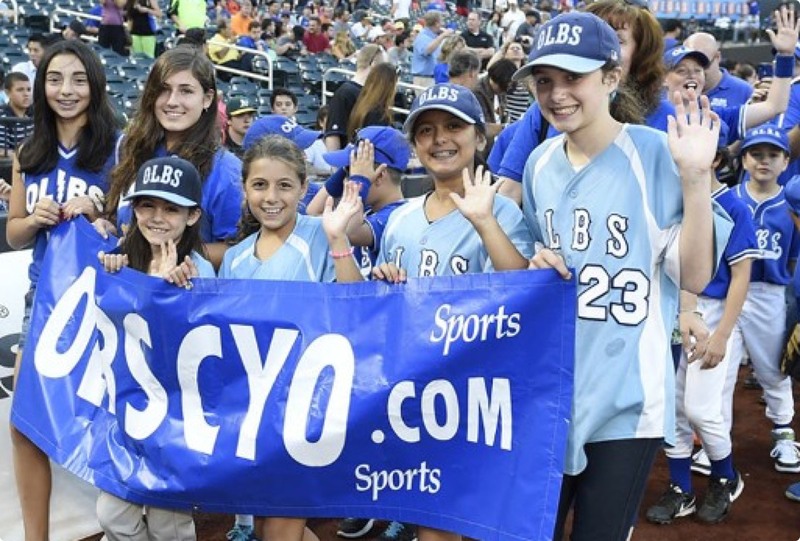 Your chorus can be in the spotlight and perform the National Anthem at a Mets game! The experience will be shown live on the scoreboard for thousands of fans to see. Groups interested in performing are required to submit a clip of their National Anthem rendition for approval. Make it a strike! Throw out an honorary first pitch to a catcher from your group during our pregame ceremonies. 500 to 850 of your group members can line up on the Citi Field warning track for a group salute prior to the National Anthem. 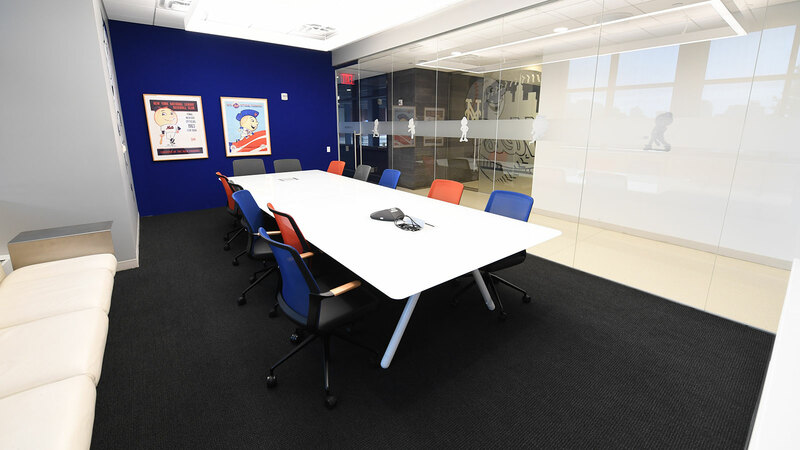 Groups are highly encouraged to wear similar colors or attire to help brand their organization. Come out to Citi Field for WWE Day! 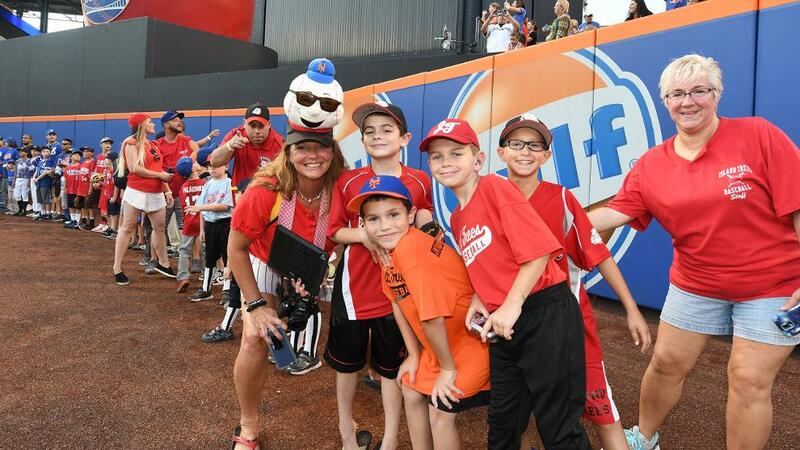 All fans purchasing through the special online offer have the opportunity to meet Superstars from the WWE in the Bullpen Plaza prior to the New York Mets vs. Washington Nationals contest. Also, the first 25,000 fans at the game will receive a special Todd Frazier WWE Day Bobblehead. 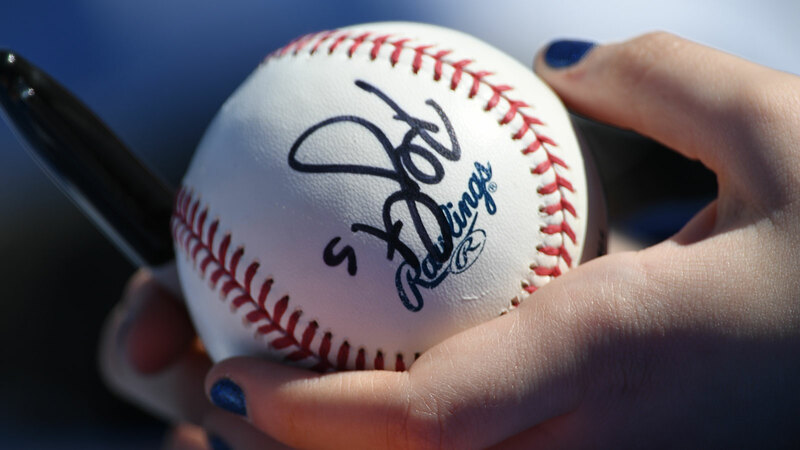 Join us at Citi Field to raise awareness for Autism, a disorder that affects 1 in 68 Americans. Join the Mets, North Shore Animal League America and Animal Rescue Foundation for Bark At The Park at Citi Field! Bring your canine companion and support this no-kill animal rescue and adoption organization. 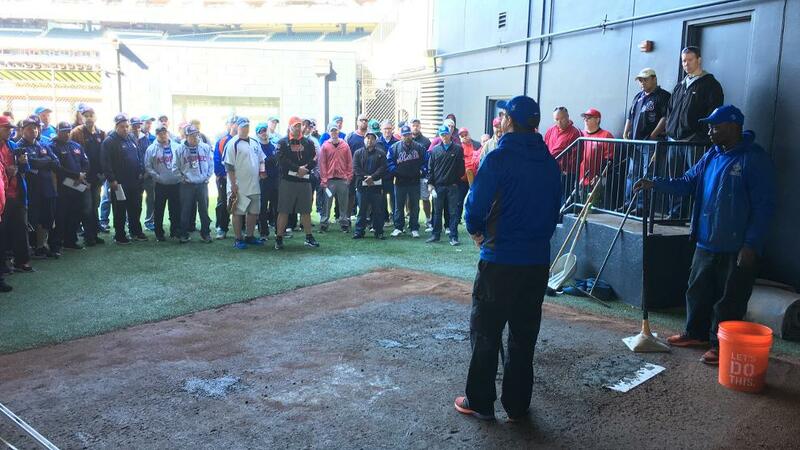 Join the New York Mets and fellow scouts for our 2019 Scout Days. Arrive early and join our Scout Parade. Then sit together with fellow scouts, friends and family and support local Scouting in designated seating areas. Tickets are limited and will be sold on a first come, first served basis. 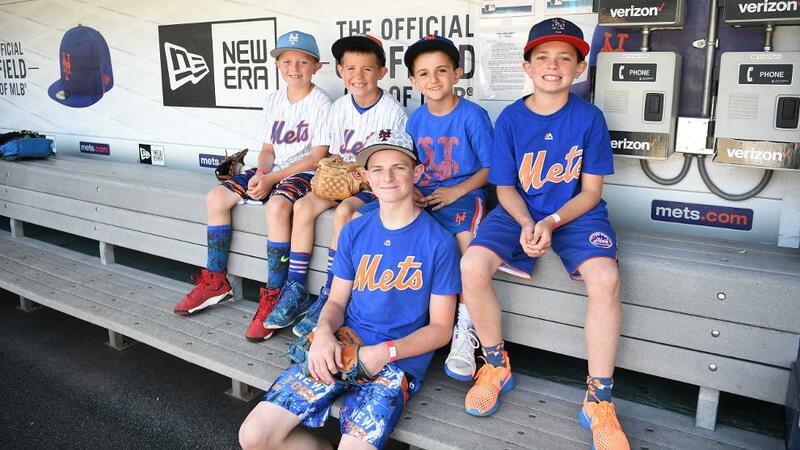 Bring your league or team to Citi Field and enjoy the excitement of Mets Baseball! Camps, recreation departments and other summer youth programs can take advantage of special discounting for these two weekday day games. 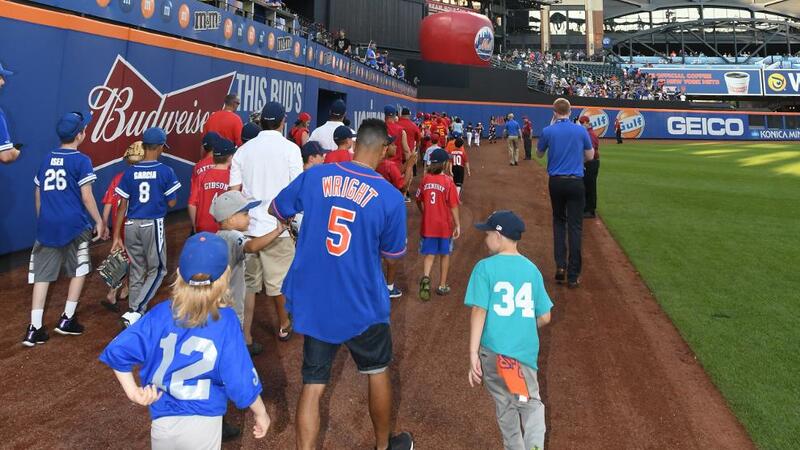 All games will begin at 12:10 p.m.
Join the Mets for our annual Irish Heritage Night celebration at Citi Field! Enjoy festive pregame programming on Mets Plaza before heading inside to see the Mets take on the Washington Nationals. Purchase through the special online offer and help support the LGBT Network, a 501(c) (3) non-profit organization and its Safe School Initiative to stop bullying on Long Island and in Queens. Check back for 2019 Faith Day date. 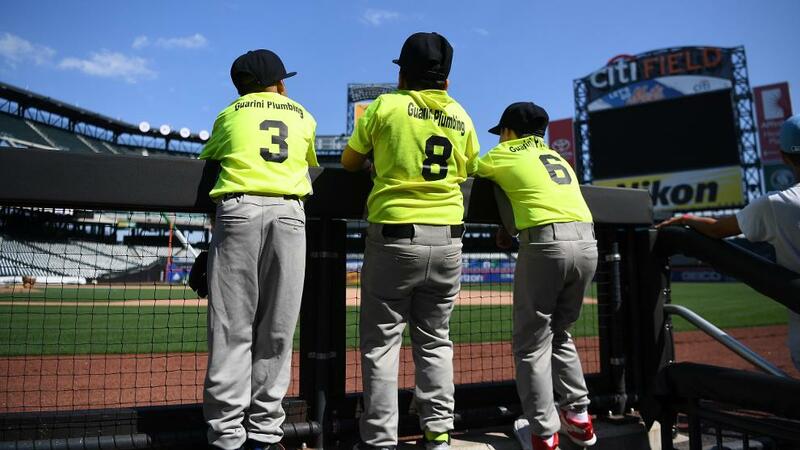 Join The New York Mets at Citi Field for a day of baseball followed by testimonials from Mets players on how Faith has impacted their lives and careers. Join the New York Mets and the New York Jets Flight Crew Cheerleaders for the seventh annual Cheer & Dance Night at Citi Field! Take a trip back in time with the team from Field Station Dinosaurs and get to see their life-size animatronic T-Rex! Join PIX 11 weather expert, Mr. G, for an interactive weather lesson at our annual Weather Education Day. Students can meet with admission advisors who will be answering questions and providing information about their college/university (through the 2nd inning). 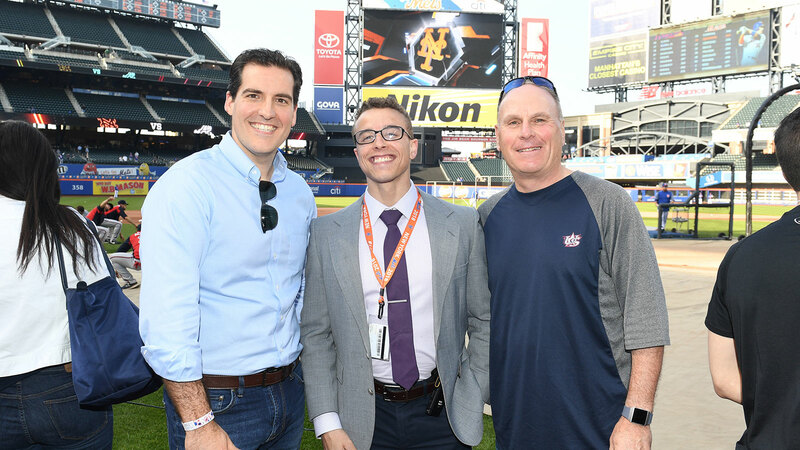 The New York Mets have recently created unique ways for your non-profit organization or school to raise money. Create a fundraising opportunity that your members are truly excited to participate in. Special ticket programs are in place that allow your organization to earn money back on every ticket sold. All fundraising tickets will be available to you and your group at a discounted rate, your group then sells those tickets and your group keeps the profit. Otherwise, non-profit organizations may purchase tickets at full price and receive a rebate to their organization after the game date. The more tickets your organization sells, the more money your organization raises. There is a 50 ticket minimum to participate in this program. 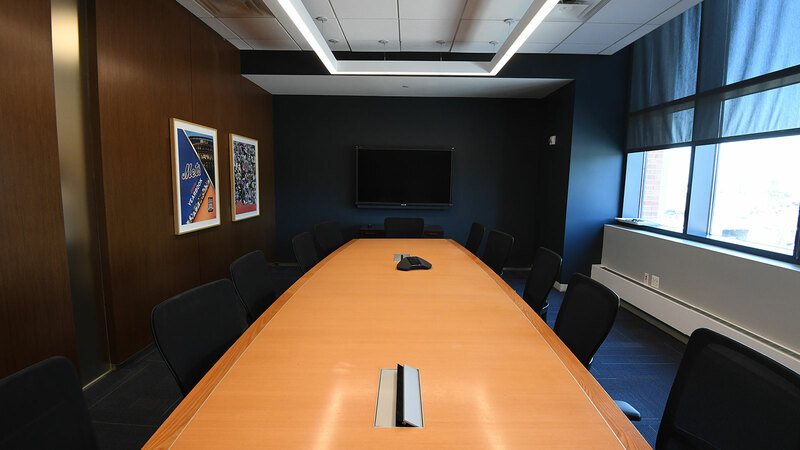 Please contact us by phone at 718-507-8499 or email us at groupsales@nymets.com to learn more on how your group can generate significant revenue. 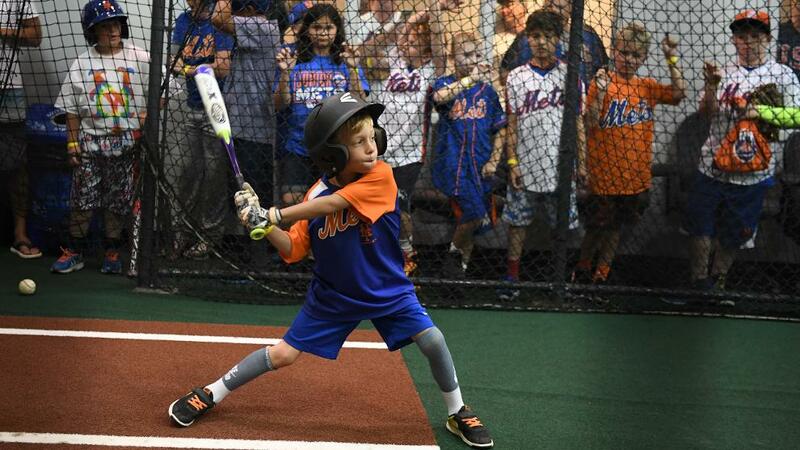 In 2017, the New York Mets launched our Future Stars program, with a goal to build and strengthen relationships with Youth Baseball Organizations in the tri-state area. 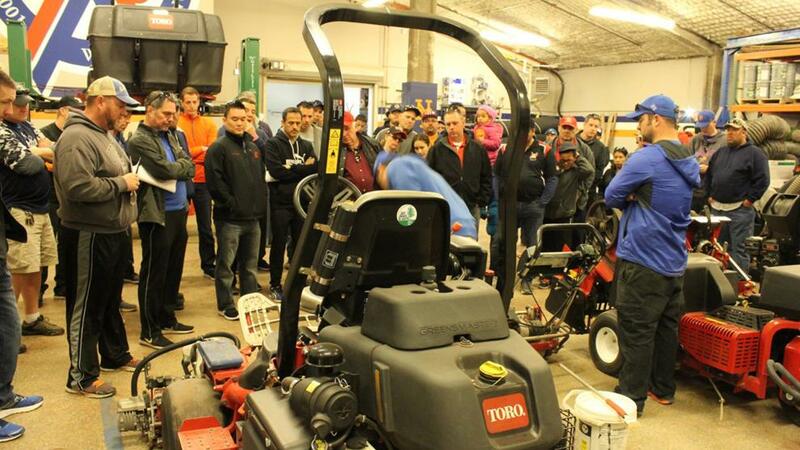 To date, we have partnered with over 40 Leagues and 12,000 ballplayers participate in the program. 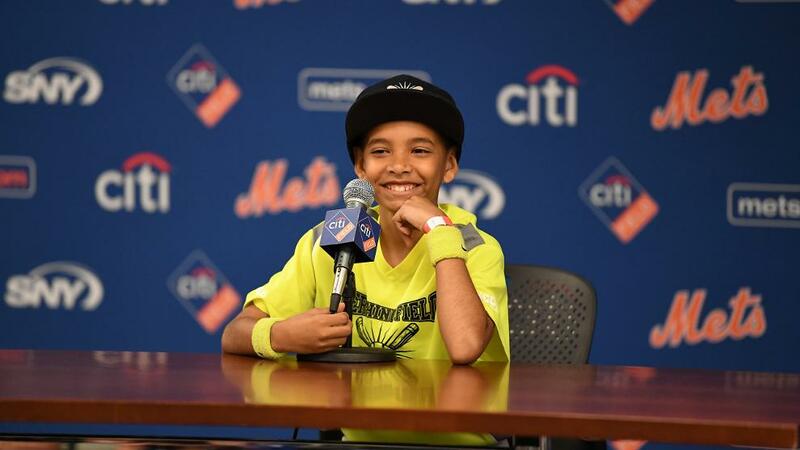 The program is more than just tickets to a game, it's a partnership between the New York Mets and your league. 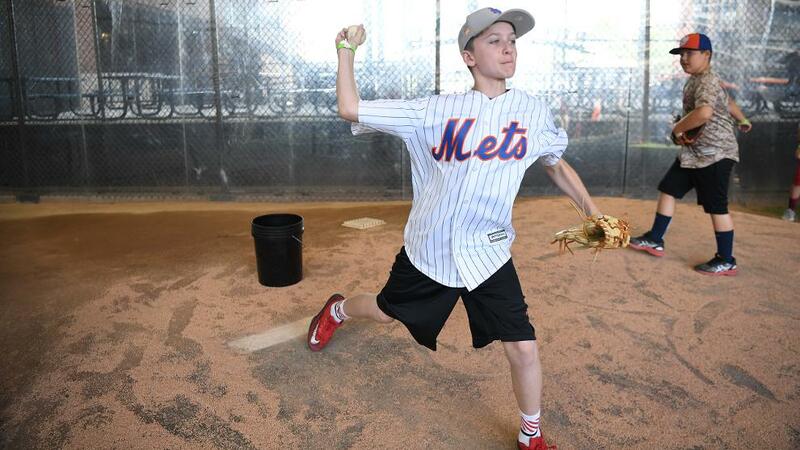 The Mets are looking to partner with youth sports organizations throughout New York City and the surrounding areas to provide once-in-a-lifetime opportunities. Our goal is for every child to participate in sports and to help youth sports programs generate the funds to provide these opportunities. 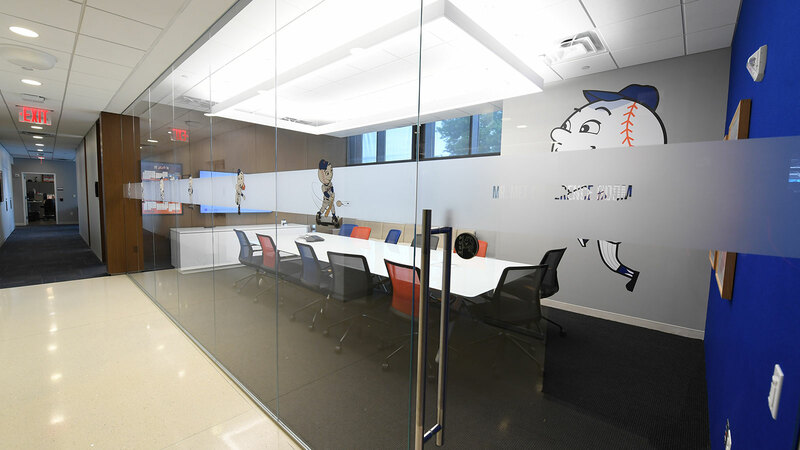 For more information, contact Jake Winowich at jwinowich@nymets.com or 718-559-3135. Below are the dates we are offering to leagues that include our pregame parade opportunity. As a friendly reminder, a portion of every ticket purchased will be donated back to your child's league. Enhance your fundraising by inviting as many family members and friends to sign-up to support your child as he or she participates in the parade on the field prior to the game! Your group should enter through the Left Field Gate with their game tickets no later than an hour and a half before game time. The gate opens two hours prior to game time. Once through the gate, proceed to the Left Field Ramp. 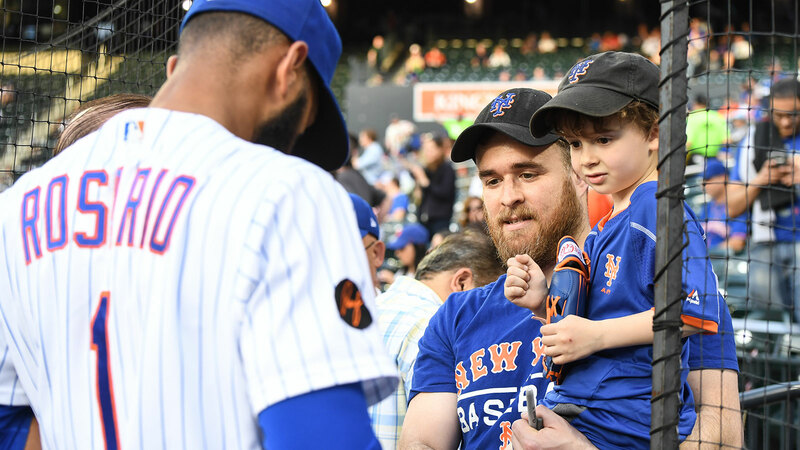 Wristbands will be issued to managers, coaches and board members whose names were submitted in advance to Mets Sales Representative. Mets Staff and signage will be there to help you locate your league position on the ramp. Only uniformed members and leaders will be allowed to participate. All children must be accompanied by a manager, coach or league board member. Mets Staff will lead the parade onto the field. At the conclusion of the parade, you will be directed to your ticketed seats. How do I purchase tickets for my child's little league event? Can my league walk in the parade together? Can family members walk in the parade? Where should family members go to view the parade? Where does parade line exit the field to get back to the seating bowl? 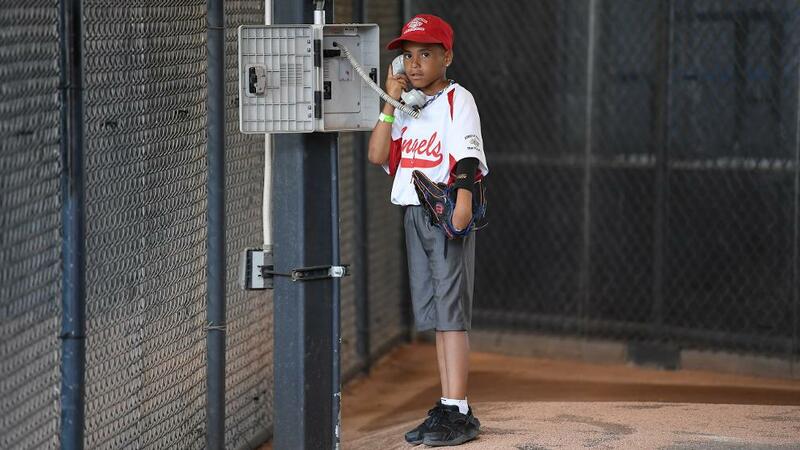 Step 1: Make sure you speak to your league's president/representative to access your specific website and password to redeem your child's free ticket. Step 2: Click here for step-by-step instructions on how to purchase Future Stars tickets online as the process varies from the typical single game ticket flow. Your team will be walking together in the parade. Once you arrive at the Left Field Gate, there will be specific instructions for where you should go to meet up with the rest of your league. Due to time constraints and safety, the parade is limited to coaches and ballplayers only. Viewing is allowed from the Field Level Concourse. 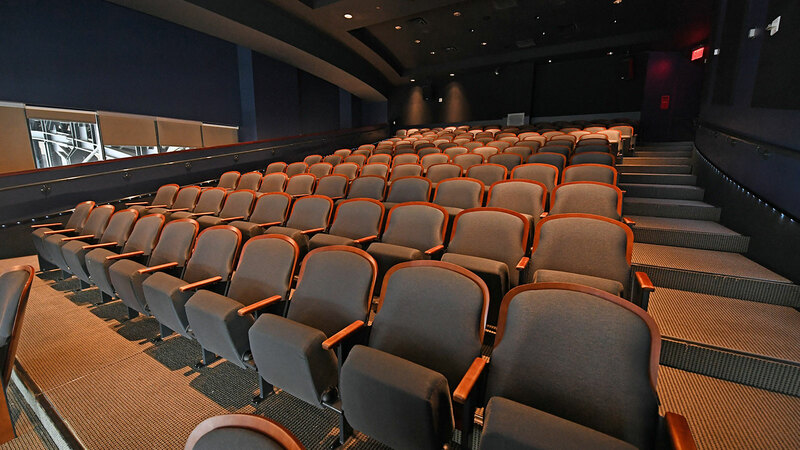 However, we recommend viewing from your ticketed seats, allowing convenient meet-up following the parade. The parade will conclude at Section 109, proceed through the tunnel, then take the escalator/stairs at the Right Field Gate back to the Field Level Concourse. From there, managers and coaches will continue to guide their leagues/teams to their ticketed seats. Not including waiting time, the parade will run for approximately 25-45 minutes. Click the link below for step-by-step instructions for purchasing your Future Stars tickets using our Groupmatics ticketing system. Your league representative will provide you with your league's unique website and password. If your league does not yet have an unique website and password, please contact contact Jake Winowich at jwinowich@nymets.com or 718-559-3135. 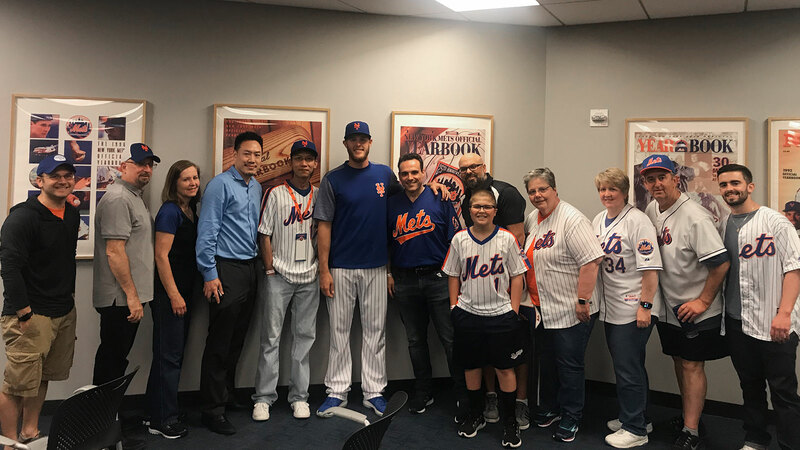 If you require assistance with your purchase, please contact Mark Phillips at the New York Mets at 718-565-4350 or mphil@nymets.com. Future Stars tickets can only be ordered online through your league's dedicated website. Method of payment is by credit card only. Delivery of tickets is by email only. 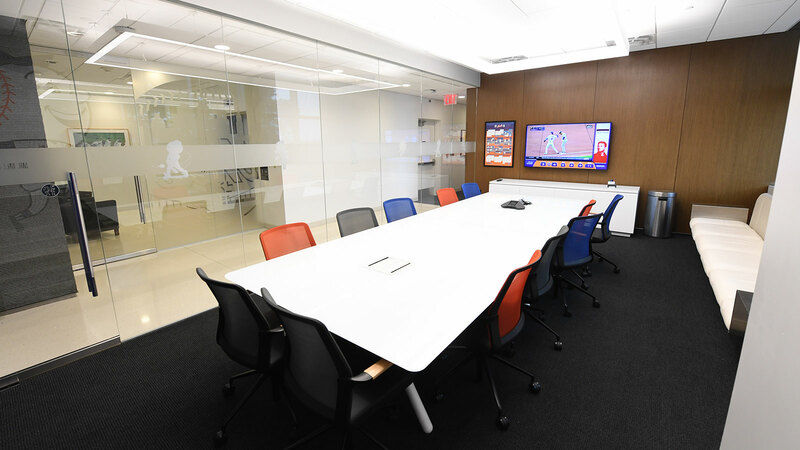 Enjoy special group benefits when your group of 15 or more guests attend an upcoming Mets game. Create an event that your guests will be talking about for years to come!